San Diego International Airport has agreed to post an animal rights ad urging tourists to avoid SeaWorld. The American Civil Liberties Union of Southern California announced Wednesday that airport regulators agreed to settle a lawsuit by permitting the ad to be posted for a month in a terminal. Martha Bailey, legal counsel for the airport's advertising agency, JCDecaux, confirmed that "the parties have reached a settlement." People for the Ethical Treatment of Animals says it will unveil the ad Thursday. PETA sued after the airport's advertising vendor refused to accept $17,500 for the ad featuring actress Kathy Najimy of the HBO show "Veep" saying, "If you love animals like I do, please avoid SeaWorld." In response, SeaWorld spokesman David Koontz called the PETA ad a publicity stunt. "The truth is that our animals at SeaWorld are healthy and happy," he told NBC News in a statement. "We are dedicated to their well-being. There is no organization more passionately committed to the physical, mental and social care and well-being of animals than SeaWorld." 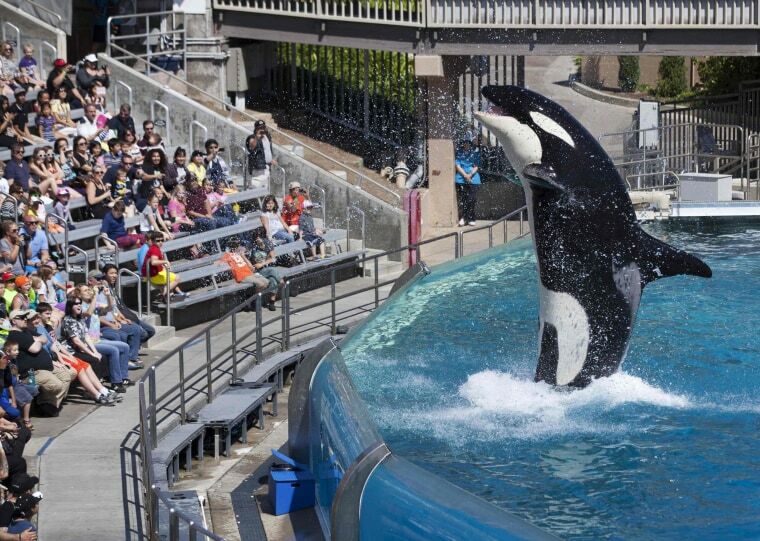 PETA opposes the San Diego park's use of captive killer whales. It argued that the airport accepted ads from other nonprofits, and from SeaWorld. "This is a win not just for PETA and orcas but for tourists wary of spending money on such a notoriously cruel attraction," said Dan Mathews, a PETA vice president. — The Associated Press. NBC News contributor Harriet Baskas contributed to this report.